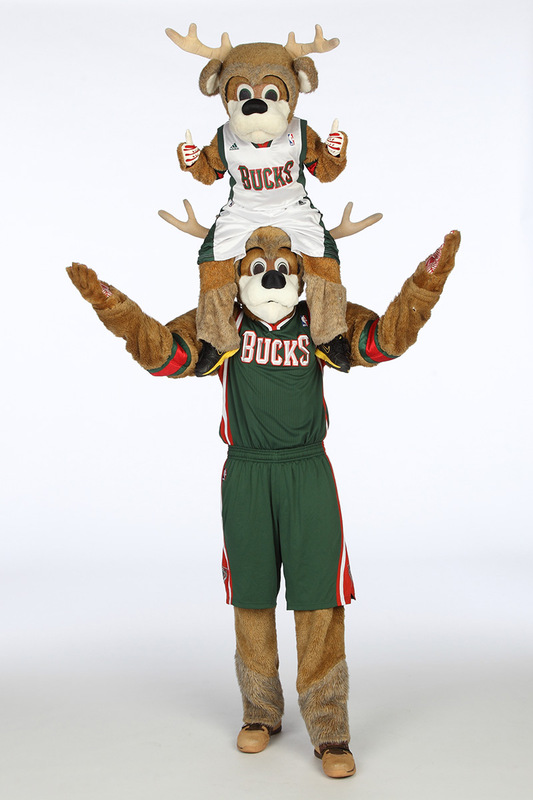 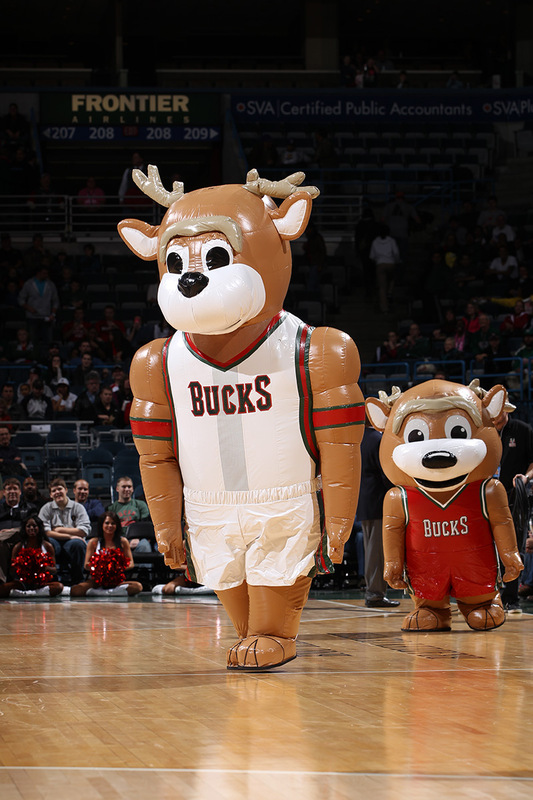 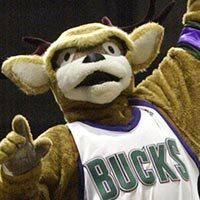 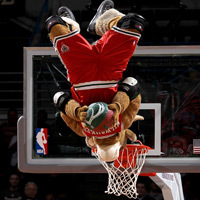 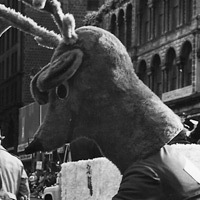 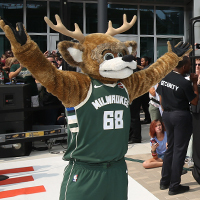 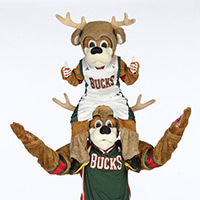 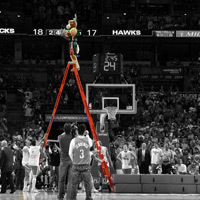 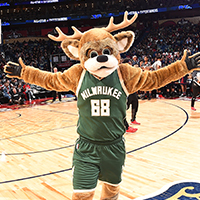 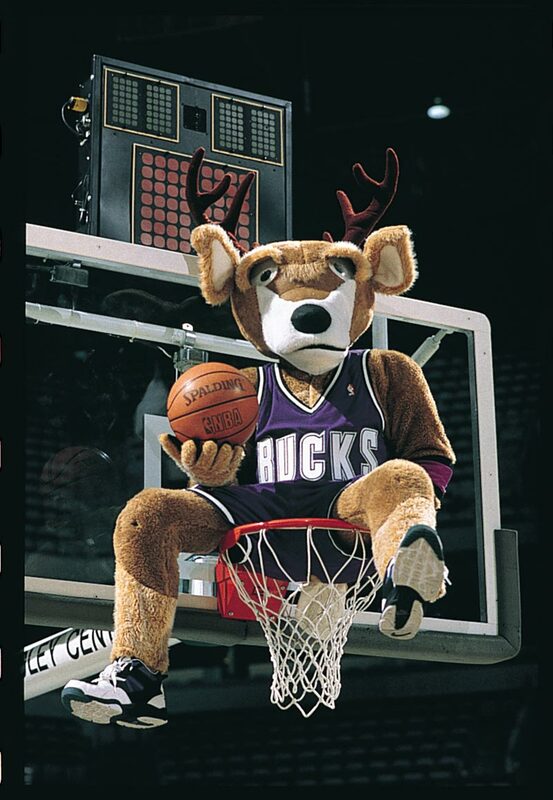 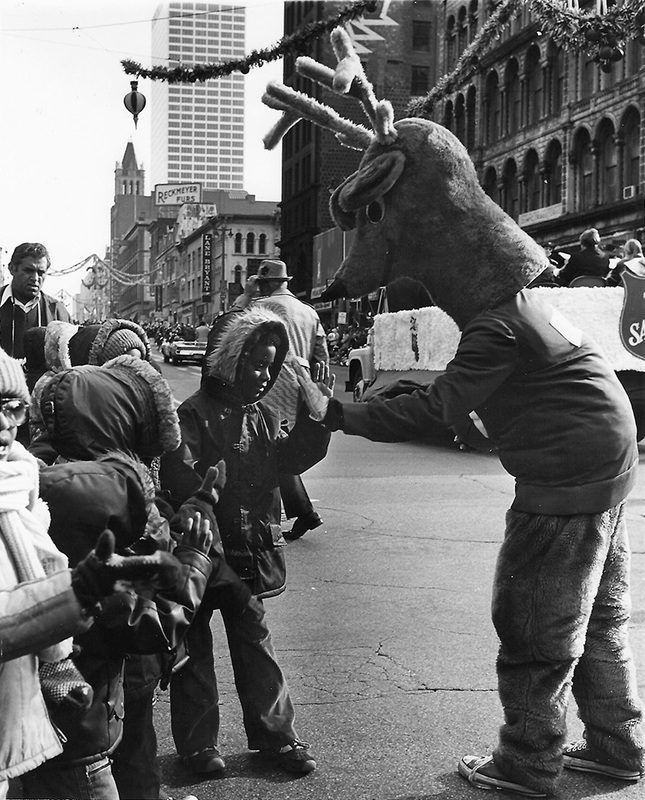 Mascot "Bango" has been entertaining Bucks fans since 1977 with his high-flying acrobatic dunks, daring stunts and funny antics. 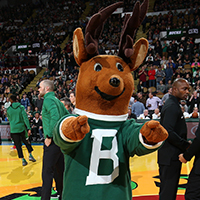 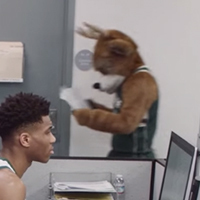 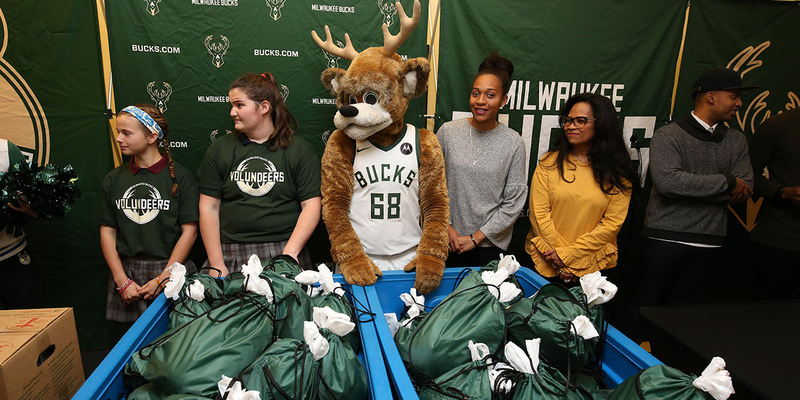 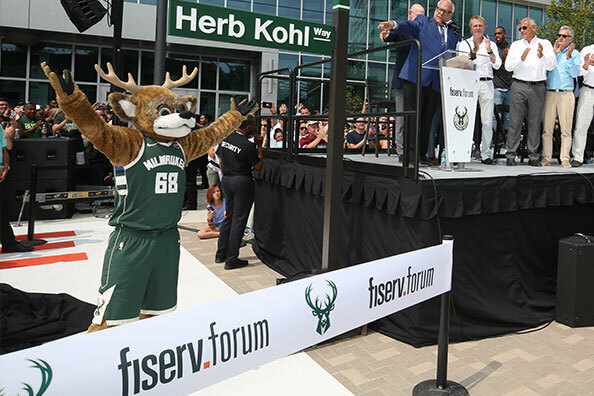 When Bango is not flipping around Fiserv Forum he's busy making over 250 appearances in the Milwaukee community every year. 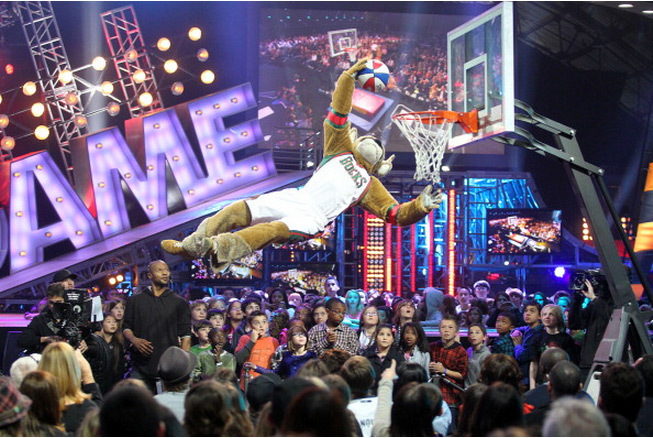 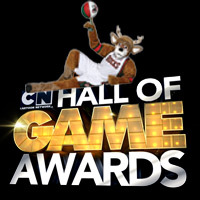 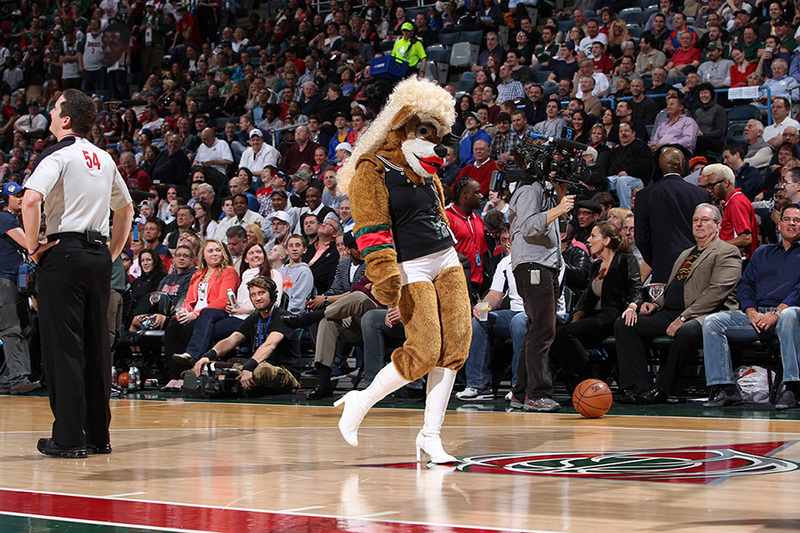 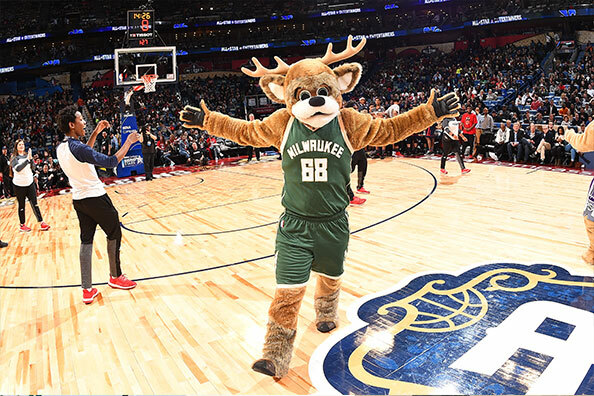 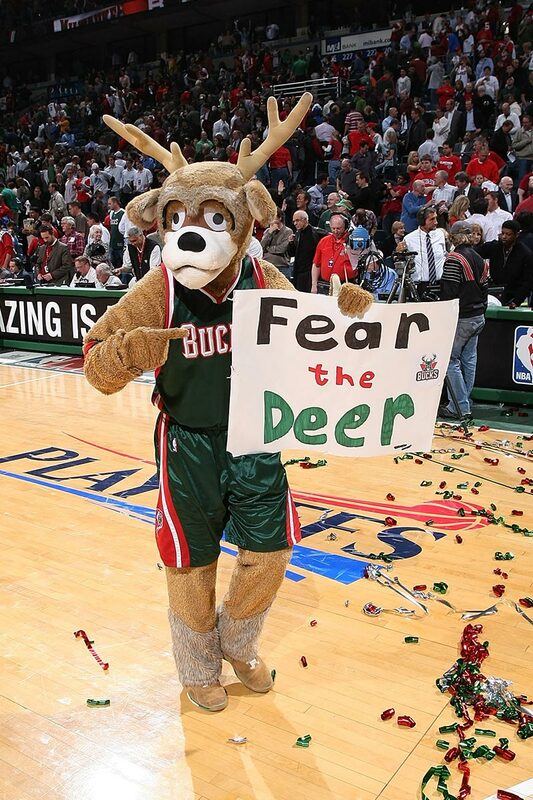 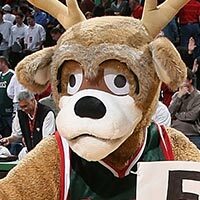 Bango is a former NBA mascot of the year and has the honor of being voted as the first "Most Awesome Mascot" by the Cartoon Network. 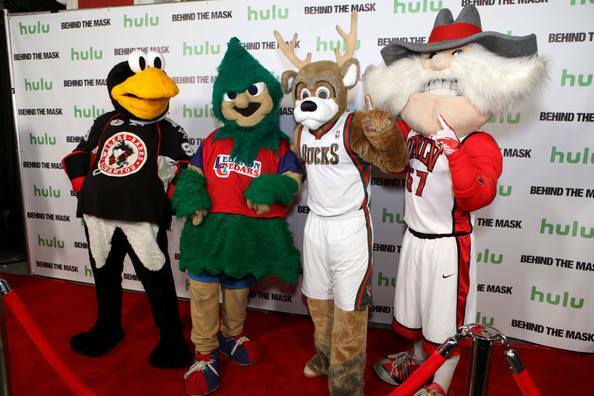 He was also featured in the original documentary series on Hulu called Behind the Mask". 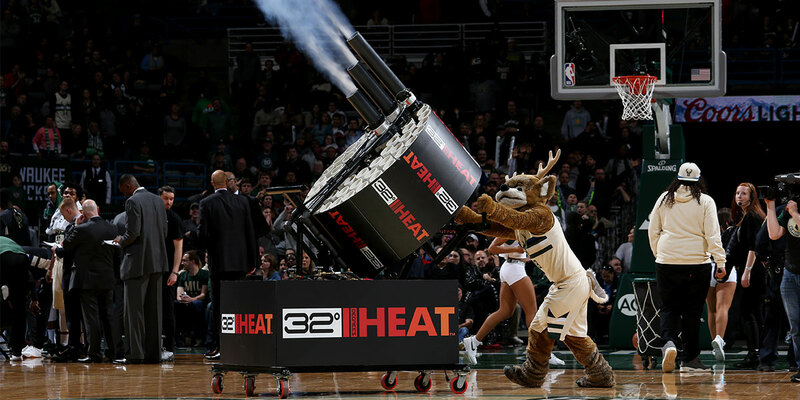 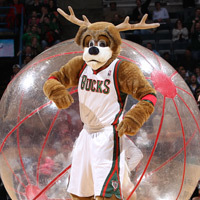 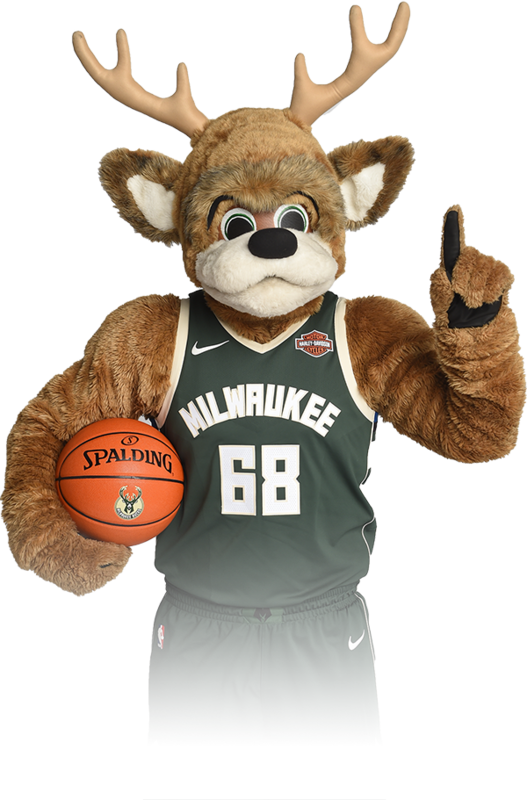 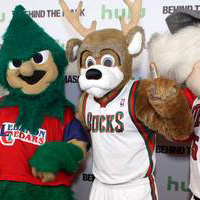 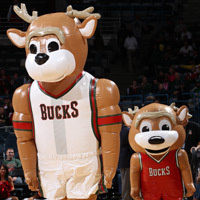 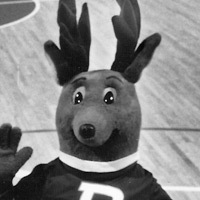 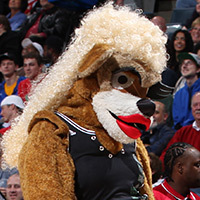 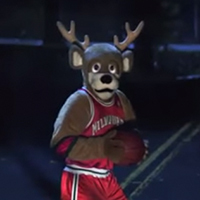 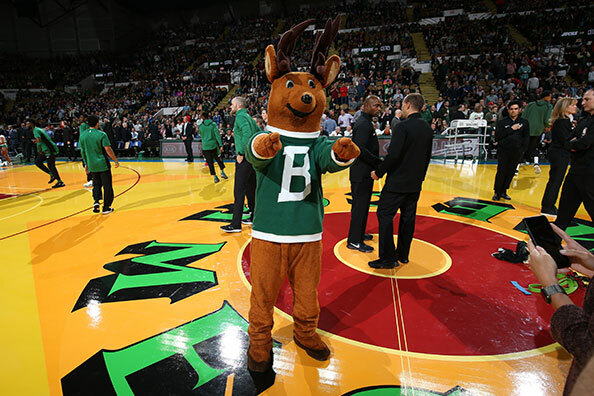 Bango was a phrase coined by Eddie Doucette, the original "Voice of the Bucks," whenever a player connected on a long-range basket. 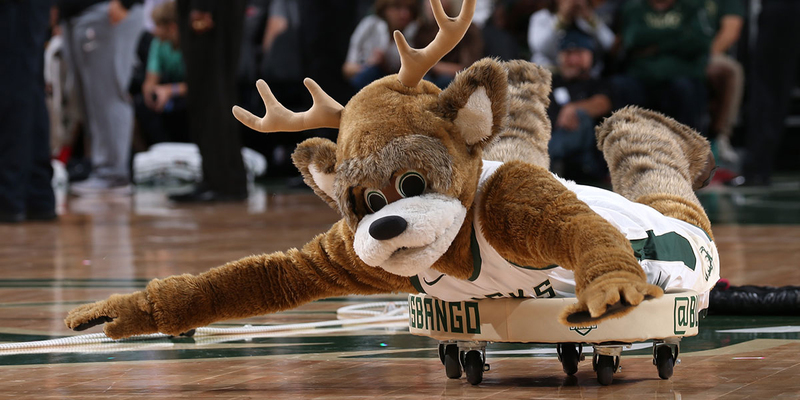 When the club held a contest to name their new mascot, a few thousand entries were received, and the most popular by far was "Bango." 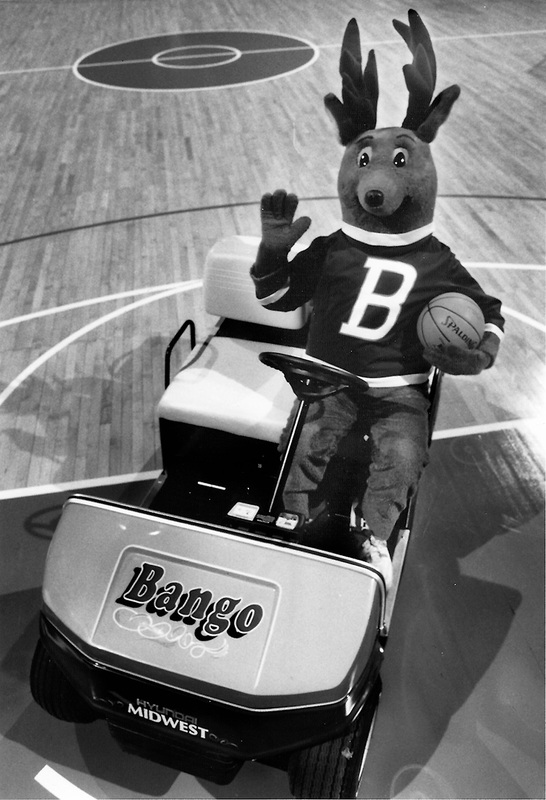 With the name in place, on October 18, 1977, Bango was born. 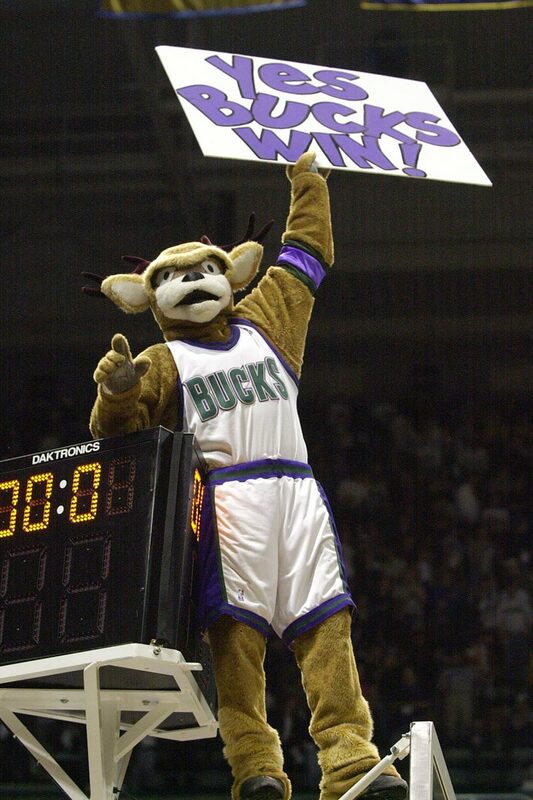 That date signified the home opener of the 1977-78 season for the Bucks. 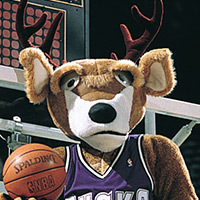 The game pitted Milwaukee against the Kareem Abdul-Jabbar-led Los Angeles Lakers in the Milwaukee Arena.